Looking for some long-term plant hire to spruce, not the tree, up your office? Noosa, Brett’s Plants is here to make that happen. Even if you are after a short-term hire for functions or events, we do that too. Brett’s Plants is a family owned business that has been offering the best in indoor plant hire. 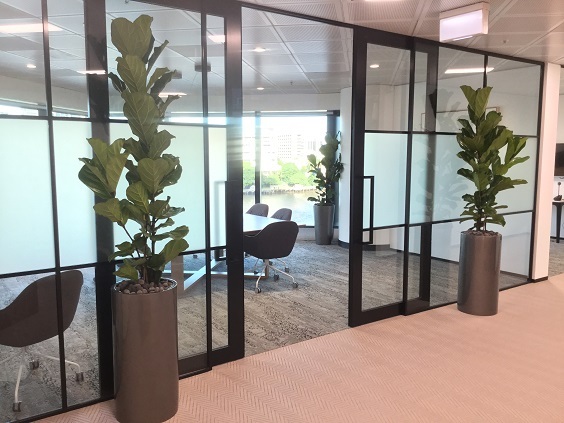 We specialise in giving the personal touch to every business we deal with so that your plants not only bring out the best in your office, but also the personality of your organisation. It has been proven that having greenery in your office not only improves productivity but performance. Indoor plants will also reduce indoor air pollution which will create a safer work environment that takes less sick leave. Plants will also show your clients that if you can give the ultimate commitment to keeping lush and beautiful plants alive, that you will go above and beyond for them. No need to tell them that we take care of all the plant maintenance. So what are you waiting for? Bring out the best in your office and your staff while shining bright for your clients. Brett’s Plants will help you with our expert knowledge and dedication to our green friends. Contact us today for your personalised plant offer.